Juggernaut is 6.83’s biggest problem. While patches in previous years have had issues with Spirit Breaker or Centaur Warrunner, 6.83 firmly belongs to Juggernaut. So let’s take a look at what’s going on. 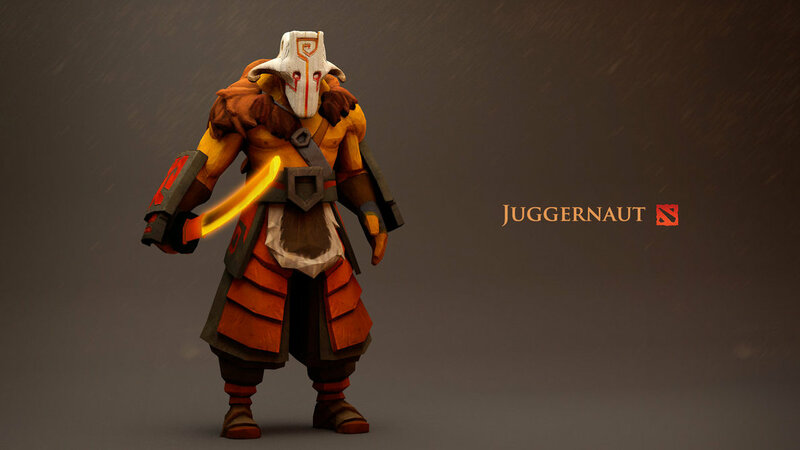 Juggernaut has been rising in popularity all year, and even in December 2012 he was the 10th most played hero in the game. He’s always been a top pick for pubbers, but in 6.83 he is the new Phantom Assassin. Already appearing in about 20% of games in 6.82, making him the 9th most popular hero, Juggernaut soared in pick rate with the new patch. Four days ago he overtook 4th place Sniper, three days ago he overtook Phantom Assassin, and just yesterday he overtook Pudge. Yesterday, Juggernaut was the most played hero for the day. It’s incredibly impressive to knock Pudge off his pedestal. Most annoyingly however, he’s boasting a very strong 56% win rate. In Very High he becomes even more unstoppable with a 58% win rate; second to only Omniknight. If you look back over the years, you’ll notice that Juggernaut hasn’t been very popular in the pro scene. Just two months ago in November, he was the 96th most contested hero for professionals. He was last popular as basically a flavor-of-the-month in May 2013, where he was the 16th most popular hero. 6.78 came soon after this however, and players moved onto other heroes. This generally results in IceFrog doing one thing: buffing patch after patch. In fact, Juggernaut has almost never been directly nerfed. Juggernaut has been buffed since the first International in 2011, which was version 6.72. Even before that, the last nerf was over 7 years ago. This is an incredible time period to go without receiving a proper direct nerf. So if you’re sick and tired of the current Ebolanaut, you can feel better knowing it was at least 7 long years in the making. He’s so strong now, that his ultimate is basically Omniknightslash. If you’re looking to counter him then you’re in trouble, he’s often a bit tricky to do so. Stats wise a good Meepo is your best bet, but if you can’t micro so well a Drow, Abaddon or Ursa performs well. The problem that normally arises however, is that the heroes who are good against Jugg generally aren’t laning against him. Someone like Drow will be in a pickle if Juggernaut was able to get constant early game kills with Blade Fury. I feel that there’s two main strategies to beating a Juggernaut. Ideally you want to Silence him and then kill him before it ends. This works well for heroes like Clinkz, Riki and Drow, especially since most Juggernauts either don’t get a BKB, or get one really late as a 4th or 5th item. Sometimes however Blade Fury will silence himself, which is where a Drow, Clinkz, or Ursa can often do large amounts of physical damage before it ends. With Manta rising in popularity, Riki is sometimes more desirable. The other main strategy is to simply not die during Omnislash, such as with the likes of Abaddon or Omniknight. Having extra creeps to tank up the slashes can work for this as well. It of course, also helps if you have a lane that won’t feed him kills when he uses Blade Fury. Sending a poor hero to solo offlane against him so you can have a jungler generally results in feeding. Duos generally work better, but you really have to play smart. Later on in the game, having a creep or illusion to kill the Healing Ward from afar is also useful, melee heroes can get kited by it during fights, while during pushing a safe option is desirable. Even something more creative like a Spirit Lance and then microing the illusion to kill the ward can be useful, while PL can also break the Omnislash with his new Doppelganger skill. Alternatively, Oracle’s Fate’s Edict is incredibly good at preventing kills during the laning phase as it gives 100% magical resistance. His Spin and Omni make him incredibly difficult to gank past laning, perhaps even turning it back around on you, whereas in laning you’re likely to have problems. Even Juggernaut’s Base HP regen is higher than normal. Most heroes have 0.25 base HP regen, Juggernaut has 0.75. I agree that it’s definitely time that Juggernaut gets nerfed. He’s become a hero that is strong at every point in the game. His spin works well early on, while the ward is great for pushing and sustain, and the great crit + good farming + low BAT makes him formidable late game. He could get the Terrorblade treatment, where his early game is nerfed slightly. I think you should start off by removing the bonus HP regen and maybe 10 movespeed as well. Then consider slightly lowering the cast range of Omnislash. On the bright side, Juggernaut is the 2nd most picked hero for the month in professional Dota. Even though it’s only 8 days into the month, he already has a 84% pick/ban rate, second only to Brewmaster. Perhaps 6.83b will have some minor nerfs to both heroes.